Beautiful 2 Story home in Bridgeford Crossing gated community. This home offers lot of modern style upgrades and features, as soon as you enter this home you will experience a bright foyer that leads to a large formal living room and dining area, open floor plan concept, ceramic tiles in the fist floor and wet areas, Silestone Quartz Countertops, stainless steel kitchen appliances, cover back porch, pavers in the driveway and porch, energy efficient Carrier air conditioning and much more. Bridgeford Crossing recreational amenities include a clubhouse, community pool, tennis and fitness area. 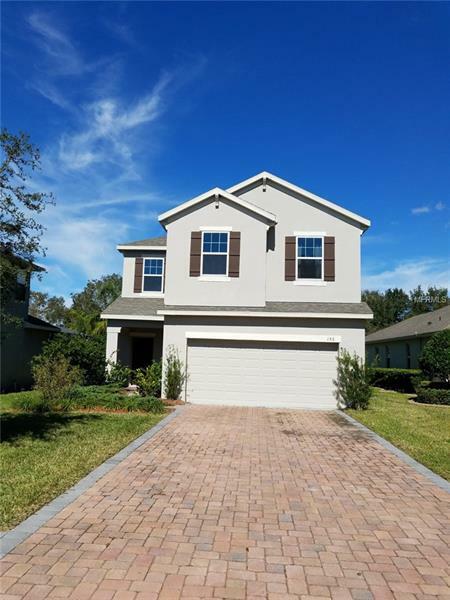 Located off Highway 27 south of Interstate 4, approximately 20 minutes from the WDW theme parks and other major attractions such as Universal Studios and Sea World, cl to shopping areas and restaurants.